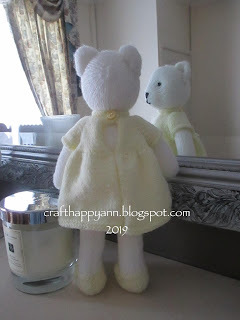 stopping by this evening to share the dress i have made for Pink teddy. 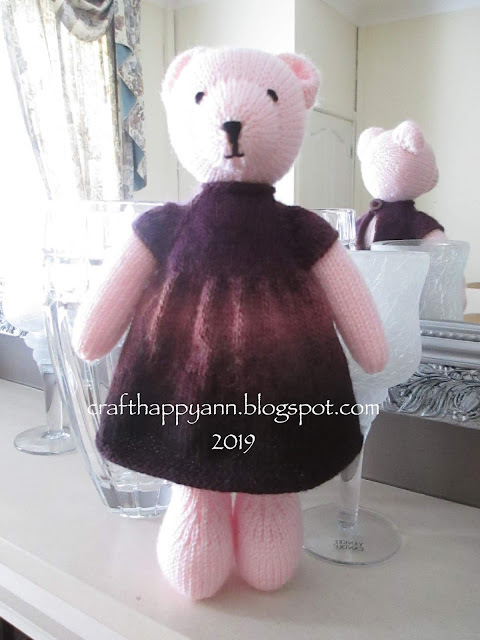 i just love how the dress has knitted it's almost like hombre: dark to light in various shades of purple, pink and burgandy. 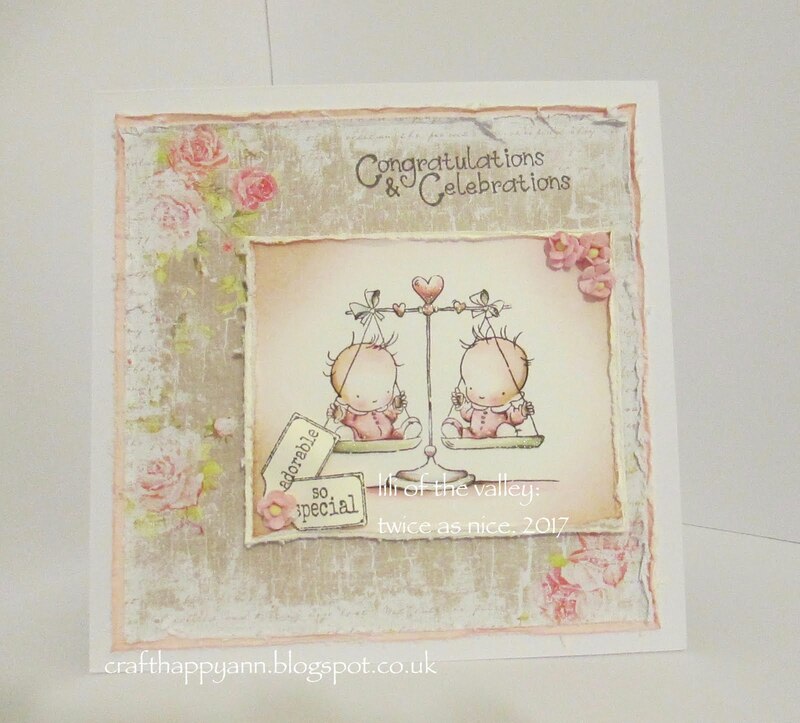 my second share for today. a beautifully soft pink tearoom teddy bear. 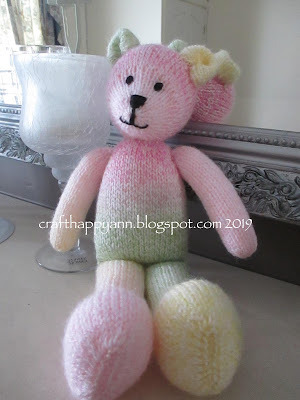 the wool i have used on this bear although is 100% acrylic is so soft to the touch. Welcome to my share for today. 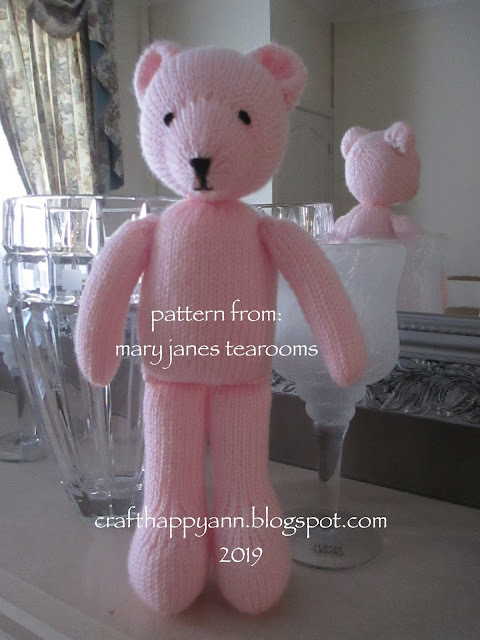 As you can all see i am still busy knitting soft toys and thourghly enjoying the journey. 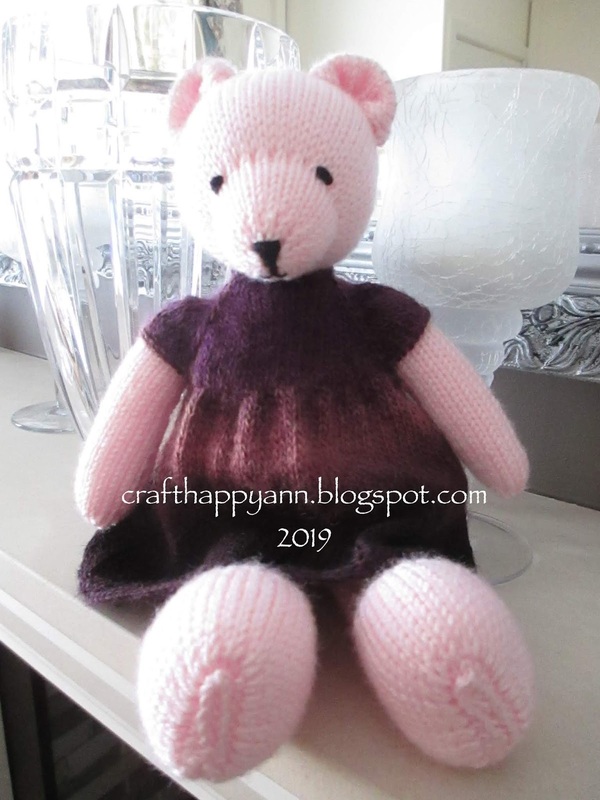 today i have a lilac bear to show you complete in a cute little dress. 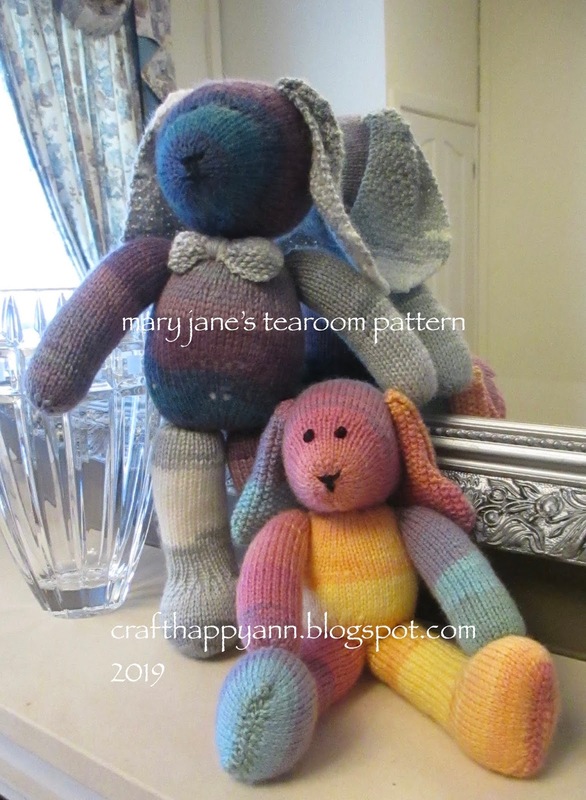 both patterns i have used are from Mary Janes tearooms available on Etsy. 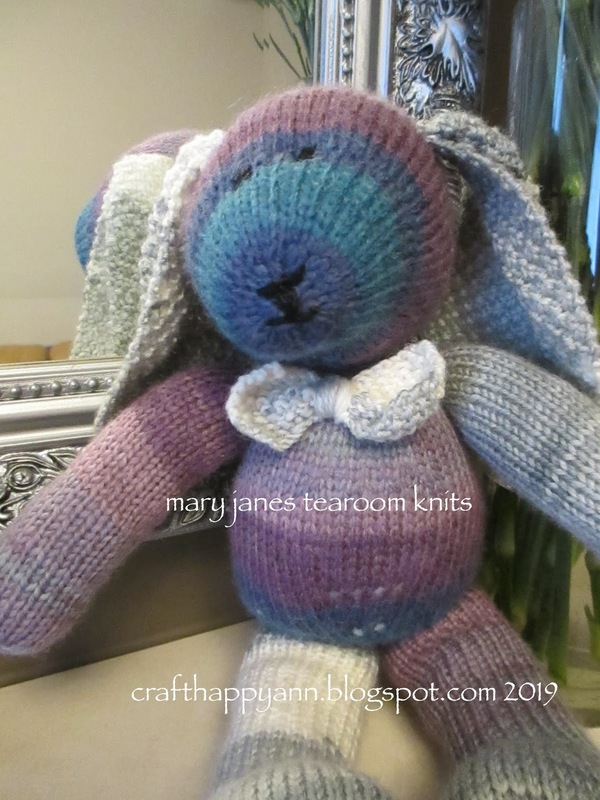 i have used a variety of wool from my stash. 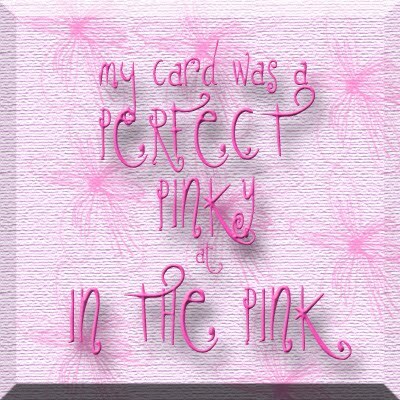 thanks for taking time to stop by, look and any comments you leave. 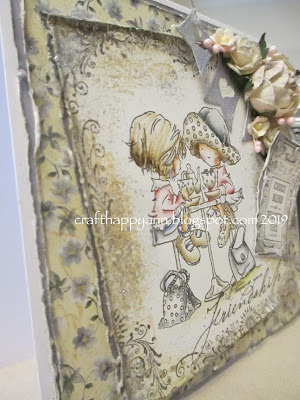 good morning crafters and welcome to my share for today. these patterns i have found to be so easy to follow and will probably be knitting a few more over the next few months. teddy sitting with her querky smile. 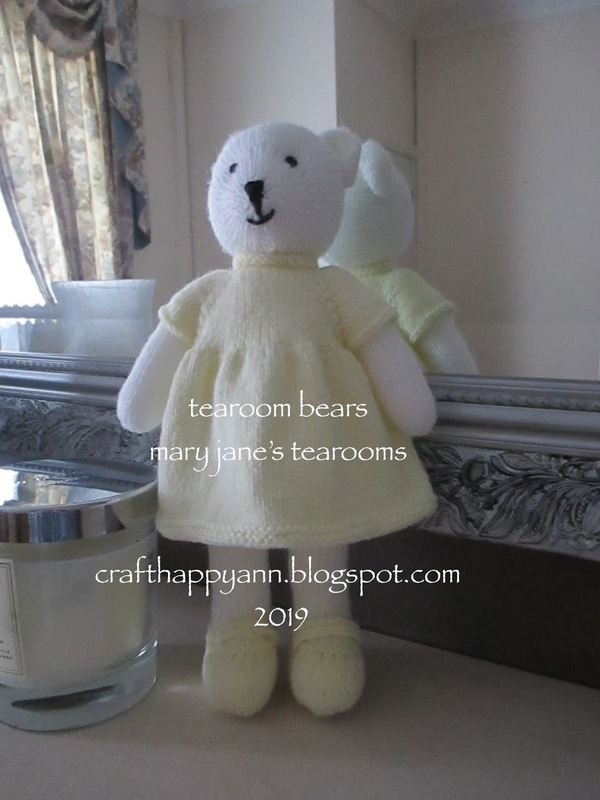 she is small than the original teddy as i have used smaller needles and finer wool. she stands 9 1/2 inches tall and has been dressed in one of the of the tearoom dresses i have made. 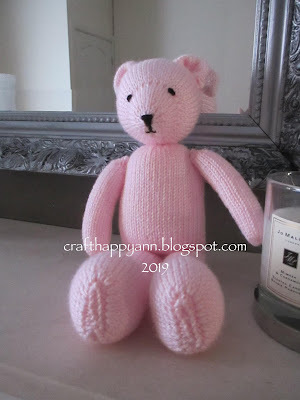 i am so pleased at how this little cutie has turned out. join me again soon for my next project. popping in with today's share's of my knitting fest. opal viridian sock wool, the hat is my own design. 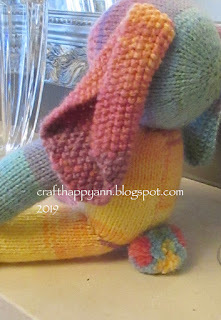 king cole smarty dk, hat from the yarn dolly pattern. these two outfits are now waiting paitently for me to make the dolls for them to go on. 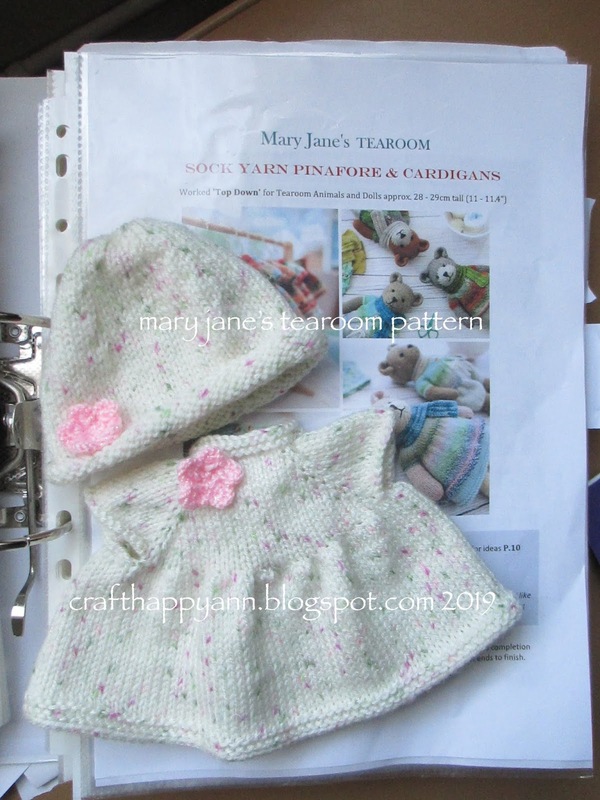 both outfits where knitted using 3mm needles. popping in with a little more knitting. 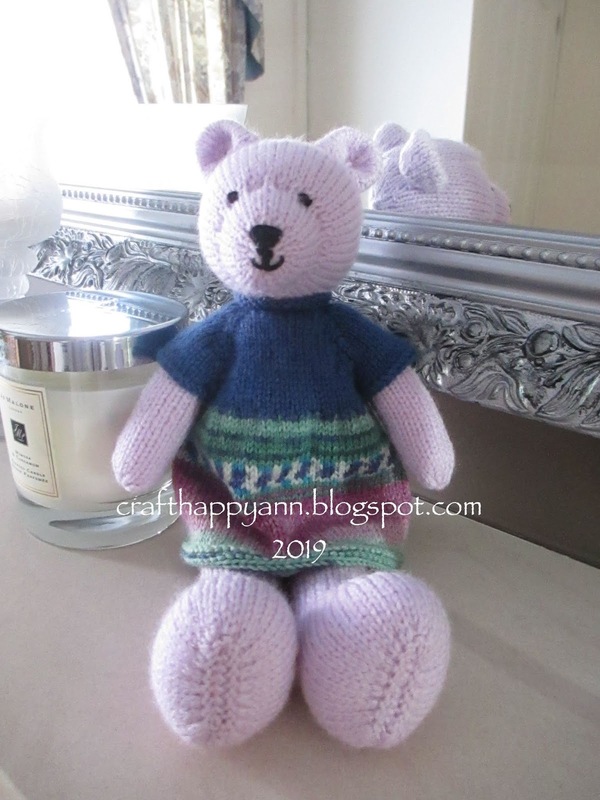 for this teddy i have used alternative yarn and i'm pretty pleased at the finished result. i have to admit i am still struggling to sit down to do any stamping, colouring or card making but i am enjoying knitting these cute soft toys. join me again soon where i will be sharing some knitted outfits. 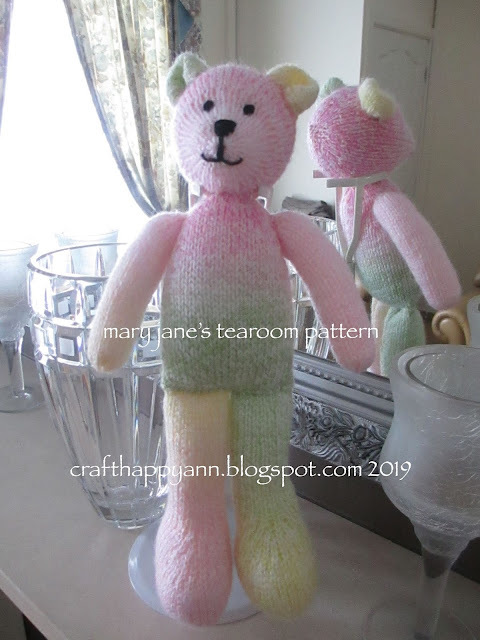 popping in today with a knitted soft toy project. it has been a while since my last share as my card making mojo seams to have left the building but i'm happy to say i have continued to knit. 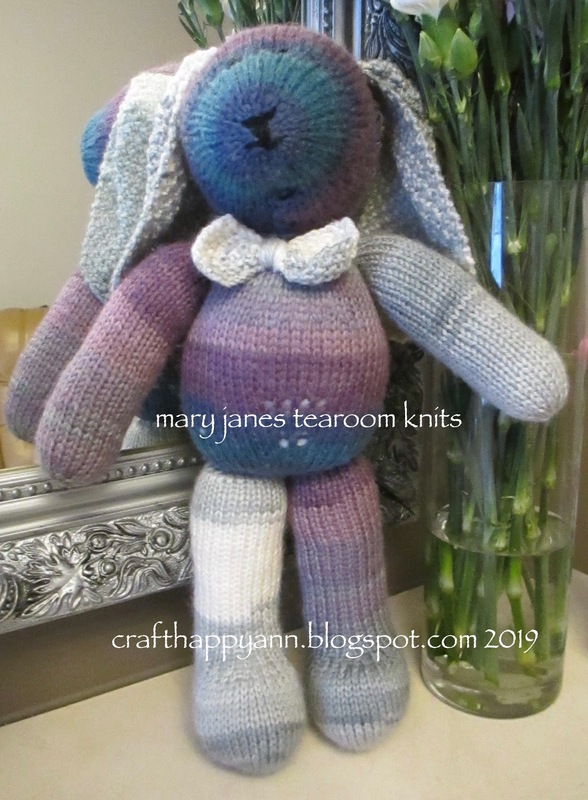 again i have chosen to just knit the rabbit and not the clothing. 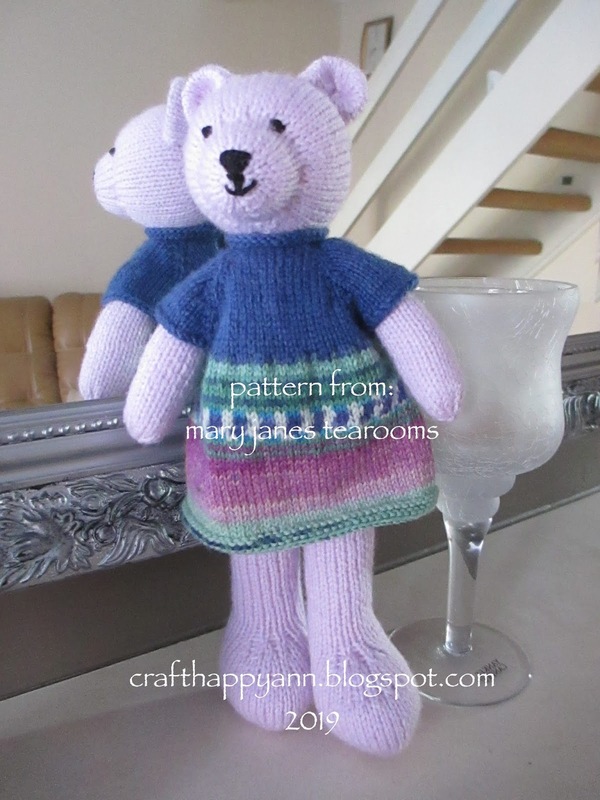 Susan's patterns are very easy to follow and turn out beautifully. 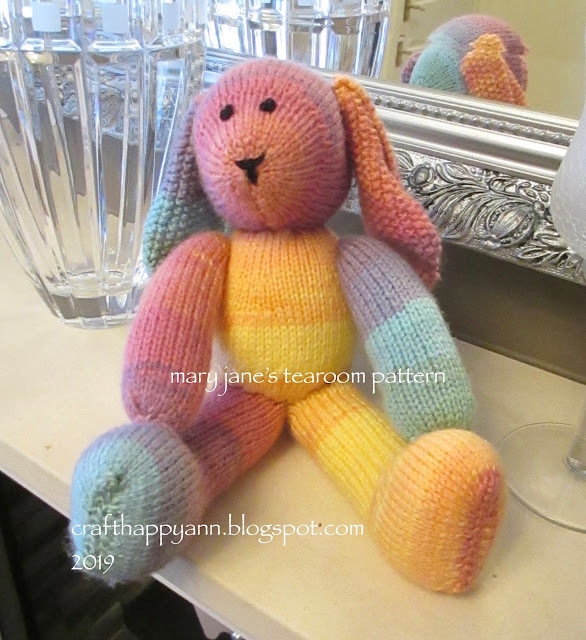 my rabbit has been adjusted and i have set her in a seated position. 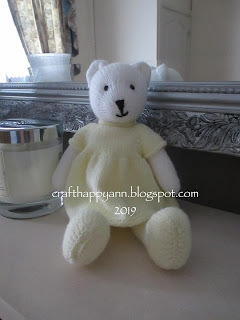 again my sewing skills need to improve but she is cute. 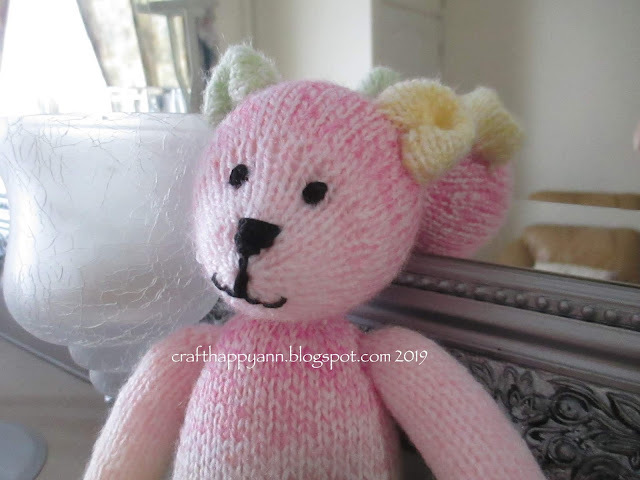 A little spot of knitting. 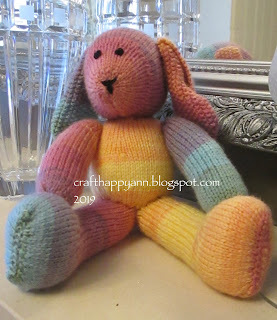 Meet Oscar this weeks knitting poject. 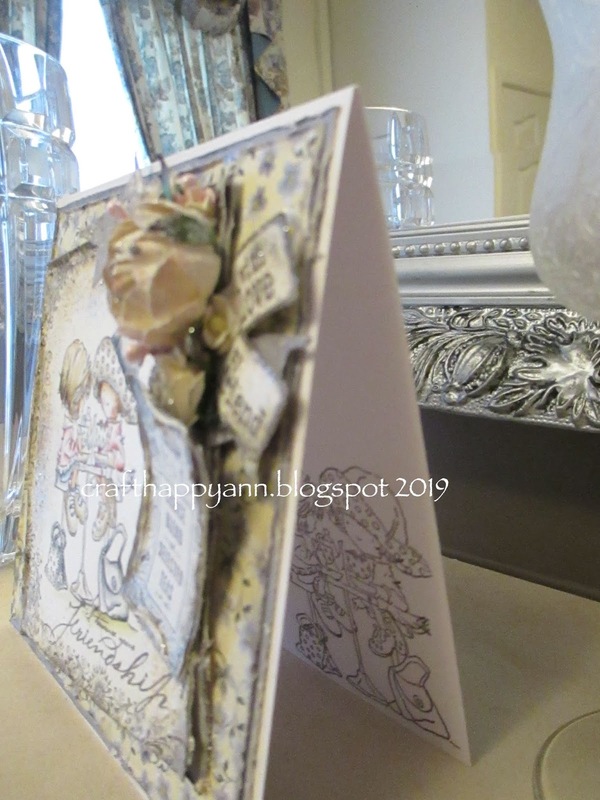 I have to admit I have fads/fazes of jumping from one craft to another and although I have a few projects in the wings I couldn't resist making this fella. I have made him minus the clothes as I decided to use a multi coloured dk yarn and I couldn't resist making a little dickie bow to finish him off. 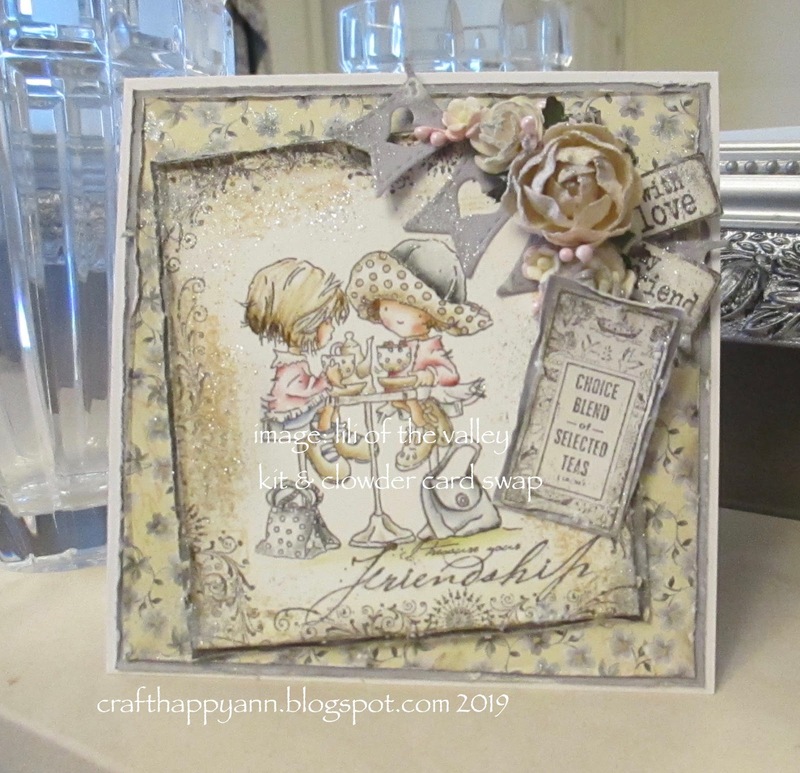 i have joined Kit and Clowder's card swap and i'm happy to say Nia has received her card, so i thought i would share the friendship card i have designed for her. fabriano 5 water colour paper, grey card, first edition papers & 6x6 white card base. vintage photo, tattered rose, aged mahogany, spun sugar, worn lipstick, black soot, antique linen, walnut stain, faded jeans & frayed burlap. 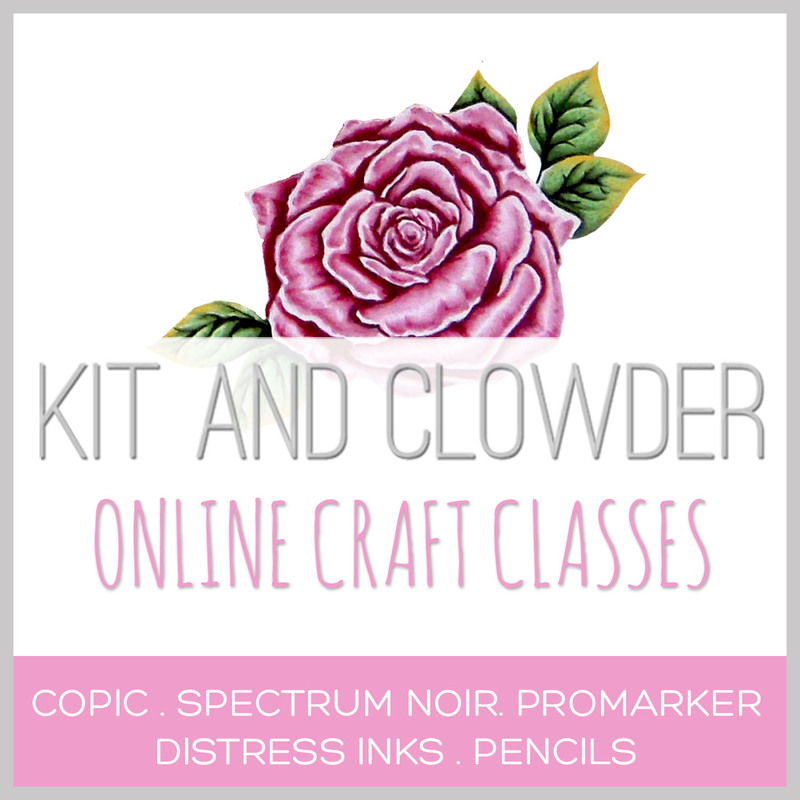 wild orchid roses (various), pink staimens & glitter paste. i'd like to give a warm welcome to my new followers.